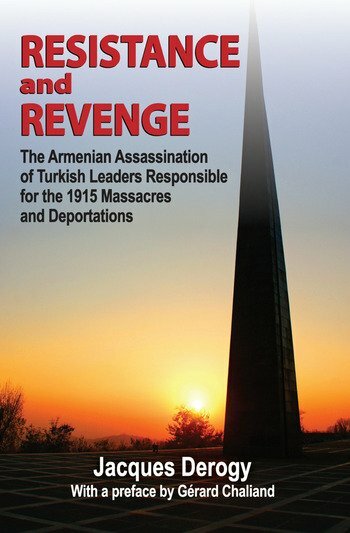 Initially published in French under the title Operation Nemesis, this revealing work is a study of the Armenian Revolutionary Federation and the individuals responsible for the execution of Turkish leaders involved in the Armenian Genocide of 1915. Derogy's rigorous research and detective work bring to life the disciplined effort by Armenian nationalists to seek retribution for historic crimes against the Armenian people. The work richly details Turkish plans for the liquidation of the Armenian people, the individuals selected to assassinate the genocidists, and documents for the first time the role of the organized Armenian political opposition to Turkish rule. In doing so, Derogy brings to light the relationship between the legal party and its extra-legal arm; the mechanisms needed to implement the daring plan of assassination; and the special post-war circumstances in which the Armenian nation found itself torn asunder by a Turkish-Soviet detente, in which the independence of Armenia became the sacrificial pawn. Derogy worked closely with scholars around the world and interviewed first-hand survivors who had direct contact with the events described. His is a detective story of the first rank and a historical reconstruction of an obscured chapter of Armenian history.